I have to admit that I’ve been deeply disturbed by the shooting and killing of nine people, including the pastor, at the church in Charleston, North Carolina 10 days ago. And of course, added to that, the continuing violence that is being inflicted in Iraq and Syria, and other places, by the Isis organization. I cannot get my mind wrapped around the kind of evil that this represents. We have been led to believe that we have evolved to the point where we have moved beyond the kind of barbarism we read about in history books – Hitler in Germany, Stalin in Russia, Pol Pot in Cambodia, Idi Amin in Uganda, and they existed not too long ago. But somehow, we think the modern world represents advancement beyond such atrocities. I mean, look at our technology – what we can do with our phones, our computers, our cars. We’re so advanced, so developed, so beyond where we were in the dark past. Yet, this kind of evil, and the chaos it causes, continues. We stand perplexed. We’re not sure what to make of it. It was chaos that drove Israel’s interest in the flood story, the story about Noah and his family, the story about God’s judgment of the world. This story probably existed as an oral story, and didn’t get written down until the time that Israel was in exile, the period in Israel’s history when the Babylonian empire created all kinds of chaos for Israel. The Babylonians defeated Israel’s army in the year 586BC, leveled Jerusalem, and literally dragged the people out of their land – one Biblical author says that they were led by fish-hooks in their noses – and resettled them in another country, far away. It was a time when everything that was known, stable, and reliable vanished overnight. It was a time of tremendous loss. They felt abandoned, alone, without hope. It felt like a flood sweeping away everything that was purposeful, beautiful and precious. And that’s when this flood story took on a special meaning for the people, when everything that they held precious was swept away. It was a time of crisis in their understanding of God. Did God care? Were they still God’s people? Did God even exist? Was there any meaning to the mess they were in? Was there something more going on in the midst of this terrible chaos? And they found in this flood story, the message: There is something more. Our reading tells us that God is so angry with the wickedness of humankind that he decides he is going to destroy everybody, and start over again with Noah and his family. So he floods the earth. But, after the flood, God has a change of heart. It seems that God regrets what he has done – but not because the people on the earth got their act together. No sign of that at all. People continue to sin. But God just changes his mind. Then, God says to Noah: “As for me, I am establishing my covenant with you and your descendants after you, and with every living creature…” (9:9-10) God’s concern is not just for people; his whole creation matters, people and animals matter to him. God, this story is saying, has chosen to disarm himself. No more arrows shot toward earth. And God is saying, “As proof that I’ll never do it again, I’ll hang up my bow.” And the bow will be a reminder to God that he no longer is going to act out of such violence – not so much a reminder for us, but a reminder for God. Instead, it means that God is determined to act in ways that show his mercy. Instead of destroying the world, God is determined to work in the midst of the evil and chaos of this world to bring about an order reflective of his love and grace. In today’s gospel reading, Jesus says, “The time is fulfilled,” which means, God’s time has arrived, “and the kingdom of God has come near.” (Mark 1:15) And then the gospel writer, Mark, in order to encourage us not to miss out on this opportunity, says, “Repent, and believe in the good news.” (1:15) In the person of Jesus, the order of grace and love has arrived. This is the one to believe in, this is the one to follow. Now I have to tell you, that when it comes to Jesus, his order of grace and love can look like disorder to some. Jesus befriended sinners, tax collectors, and prostitutes. He cared for grieving people, sick people, and despised people. He broke the rules in order to show love to people. The religious authorities and Roman authorities would have nothing of it. They wanted things to be kept in order, their kind of order. And so, because Jesus brought God’s order of love and grace, he was killed because of it. Evil is nothing new. It is not limited to the history books. Lest we become self-righteous we must remember we too have contributed to the chaos in this world. We are not without sin. But here is the good news. What the Christian faith proclaims is that in the midst of this evil and chaos is a love and grace that come from God, and meets us most fully in his Son, Jesus. 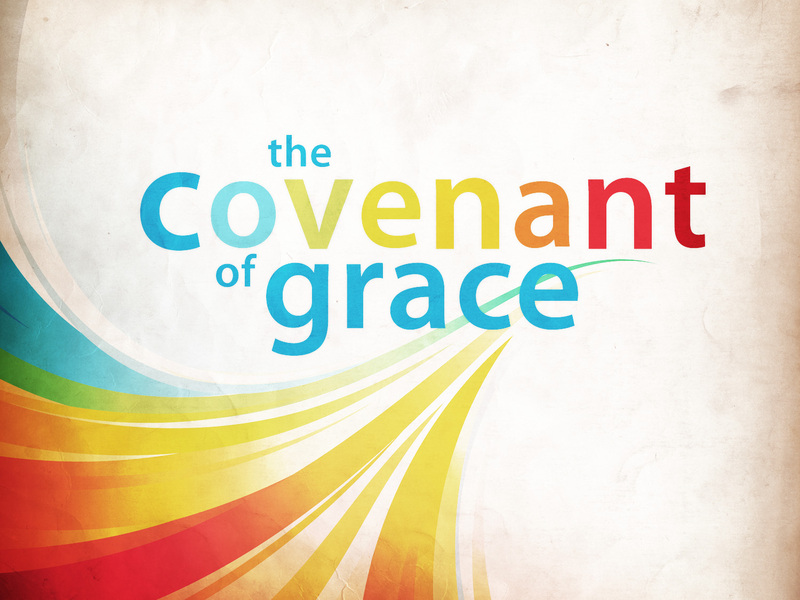 It is the New Covenant that God has made with us. It’s like the covenant God made with Noah and with all creation, but this New Covenant, celebrated in our baptism, is even better. This New Covenant is the sure and certain promise of God’s love that is greater than any evil…even greater than death, because God raised Jesus from the dead. In the midst of the evil and chaos we experience, the flood story and Jesus’ baptism bring us a powerful truth, that God is not busy wanting to bring havoc on us, or on creation. Rather, God is busy naming us, loving us, and transforming us. I don’t know what to make of this awful evil in our world. But in the midst of it, we are invited to trust in a love that is much bigger than it, a love that comes from God and has the power to transform evil into good.